Pete’s Christmas Gift to You: Scratchcards! To win, all you have to do is match three symbols on your scratchcard. Want to get involved? 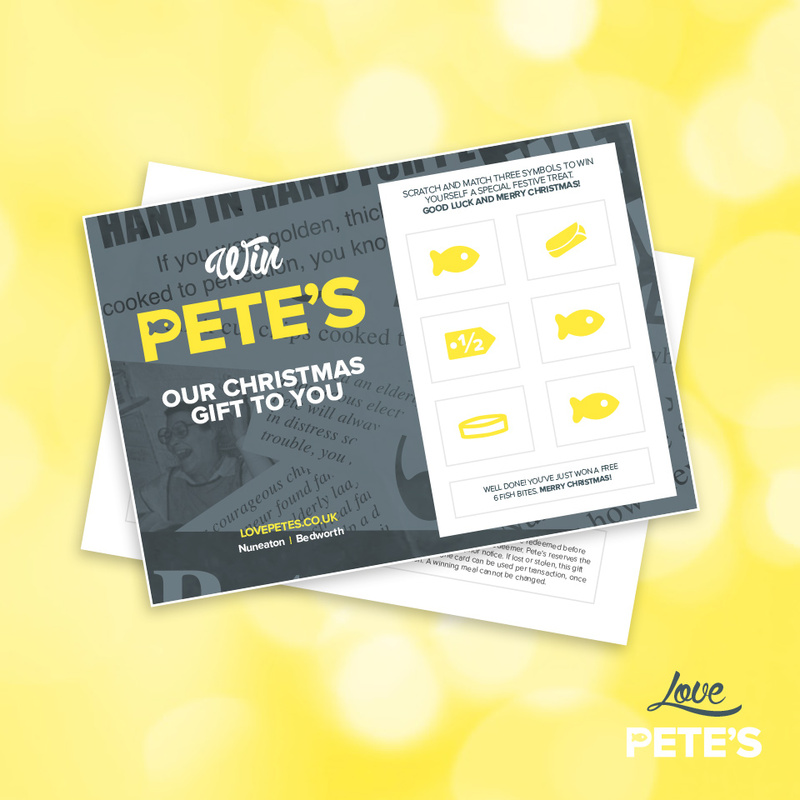 Just pop by your nearest Pete’s, and grab your free scratchcard every time you spend £7 or more. So good luck and merry Christmas, from all of us at Pete’s.